Jan. 13, 2012 – USGBC Greenbuild 2012 Presentation Submittal Deadline – Green Cincinnati’s team can help you propose, write and illustrate your presentation for the conference Nov. 13-16, 2012 in San Francisco. Our LEED Window Documentation literature will give you a sample of our work. Learn more at the GreenBuild 2012 site. 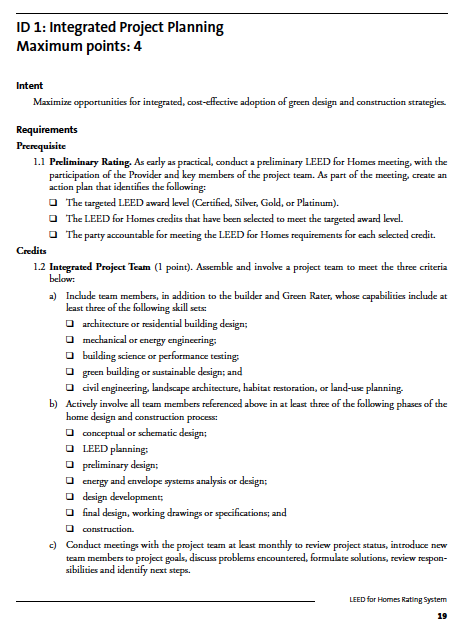 Jan. 14, 2012 – USGBC Greening The Heartland Indianapolis Presentation Submittal Deadline Extended. We can help you propose, write and illustrate your presentation for the conference May 16-18, 2012. Learn more at the Greening The Heartland site. Jan. 14, 2012 – Solving Cincinnati’s Stormwater Problem – 10 to 11 a.m. Park + Vine , 1202 Main Street , Cincinnati, OH 45202. Presented by Ryan Mooney-Bullock, Program Manager, Green Learning Station, Civic Garden Center of Greater Cincinnati. RSVP [email protected] or call 513-721-7275. Learn more. Jan. 24, 2012 – Solar Panel Installation Switch Event – If you would like to attend this event that will open a major solar panel array in the region please contact us 513-260-9025 or Email. It starts with breakfast at 9:30 a.m and will include remarks and an optional tour of the rooftop. Feb. 1, 2012 – greensource CINCINNATI – Tour and energy modeling presentation at 19 East 8th St., Cincinnati, OH 45202. Join us from 6 to 8 p.m. for a tour of greensource CINCINNATI, followed by a presentation on eQUEST energy modeling of the greensource CINCINNATI’s historic building seeking LEED Certification. There is no charge for the tour and presentation, but please RSVP by Jan. 25. Learn more. Feb. 8, 2011 – ReSource Cincinnati (Non-Profit Educational Seminars) – Things First Time Managers Should Know – 8:30 a.m. – 11:30 a.m., Rookwood Tower, 5th Floor, 3805 Edwards Rd., Cincinnati, OH 45209. Patti Dunham and Cathleen Snyder will help attendees gain valuable skills and knowledge so they can make successful transitions to management, while protecting their interest of the company in their new roles. Learn more. – Save on your registration fees by signing up before the Mar. 16 deadline. Earth Day is April 21, 2012 Noon to 5 p.m. at Sawyer Point. Contact Co-Chair Chuck Lohre, 513-260-9025 or go to the site to learn more. Feb. 28, 2012 – Greening The Heartland Indianapolis Exhibitor Early Bird Savings Deadline – May 16-18, 2012. For exhibitor materials, check out our full line of banners and booths. Green Cincinnati can also help you with design and production of any type of illustration, animation or presentation. Learn more at the Indy GTH site. Cincinnati Zoo Green Building Tour and Energy Modeling Presentation - Learn how they achieved LEED Platinum for the Entry Village. Feb. 29, 2012 – LEED Platinum Entry Village at the Cincinnati Zoo – Tour and energy modeling presentation, 3400 Vine St., Cincinnati, OH 45219. Please join us from 6 to 8 p.m. for a tour of the LEED projects at the Cincinnati Zoo and Botanical Garden followed by an eQUEST energy modeling presentation detailing the Entry Village buildings for LEED Certification. There is no charge for the tour and presentation, but please RSVP by Feb. 22. Learn more. Clifton Historic Home Tour and Energy Modeling Presentation - Learn how to get LEED for Homes' points for gut rehabs. Mar. 6, 2012 – Business Courier Green Business Awards – Cintas Center, 1624 Herald Avenue Cincinnati, OH 45207-7510 from 5:30 p.m. – 8:30 p.m. Learn more. 1. Energy Audit Noon to 4 p.m. – Performed by HOUSH The Home Energy Experts – They will inspect the home and HVAC system, check combustion appliances and conduct a blower door test. There is no charge to attend, but please RSVP by Mar. 21. 2. Tour and Energy Modeling Presentation of the LEED-Registered home. Please join us from 6 to 8 p.m. for a tour and presentation of eQUEST energy modeling. There is no charge, but please do RSVP by Mar. 21. Learn more. April 26, 2012 – Dater Montessori Event – Save The Date – Cincinnati Public School Green School Event by the Alliance for Leadership and Interconnection. More information and times to come about the Green School Tourbook that will be introduced at the event. Learn more. Wanted Green Home Building Partners – Would you like to be on the LEED Innovation in Design Integrated Project Team for the Frank Lloyd Wright Boulter House? We need architecture or residential building designers; mechanical or energy engineering; building science or performance testing; green building or sustainable designers; and civil engineering, landscape architecture, habitat restoration or landscape use planning. This will be a very challenging project but one that will set a standard for similar project preservation goals. Contact Green Cincinnati. Interactive map of over 250 Green Building projects in Ohio and Kentucky. Take the survey and we will set up tours for the most popular. Green-Cincinnati.com Directory Tour – Vote for your favorite Green Building to be on the tour schedule – Directory of over 250 Green Building projects in the Tri-State. We’re planning a series of tours over the next few months and would like you to take a survey, http://www.surveymonkey.com/s/KR68TCM, to rank the projects you would like to see. The directory includes LEED, EnergyStar, Permaculture, Green Roof, renewable energy as well as recycling centers and Carbon Offset sites. We’ll let you know the results soon. The series of tours will kick off with a visit to IKEA in West Chester. They recently installed solar panels on their roof and have one of the most advanced building control systems in the region. Get your internship taken care of while you study for the USGBC Green Associate or Accredited Professional. LEED GA Intern and Study Program – We can help you study for the Green Associate exam in exchange for working on our LEED projects. You’ll get hands on experience with many of the credits and personal tutoring. There’s no better way to study for any of the LEED AP exams than to work on an actual project. The program can also be used for internship requirements. Includes GreenExamPrep.com study aids and testing fees. Study aids include: 700 Practice Test Questions available online with unlimited use for 90 days, 239 page LEED Green Associate Study Guide (PDF format), and 8 hour LEED Green Associate audio book (MP3 format). The materials and testing fees are a $315 value. Contact us for more details and open schedules. Save BIG on your energy bills while supporting renewable energy markets. De-Regulation Makes Green Energy Cheaper Than Your Rates – Green-e Commercial Electricity at 10-35% lower de-regulated cost than your current provider. Green Cincinnati Education Advocacy has partnered with Perry Leitner, regional representative for Glacial Energy, to offer commercial electrical generation accounts certified Green-e renewable energy at costs lower than your current provider. We think you will find our services for aggregating electrical consumption a 10-35% cost savings in overhead. We can accomplish this while still maintaining separation of your individual property billings organized and best of all no annual contracts or fees. Just provide us with a copy of your Duke Energy bill and we’ll calculate your savings. Everyone should take advantage of deregulated electricity for their home or business. City Home Cincinnati Phase 2 - Seven New Townhouses. A new/historic neighborhood is re-emerging. Pleasant Street is being transformed. Come See! Green Building Design, Art & Architecture – Schickel Design – City Home Cincinnati Town Residences and Commercial Space. A new/historic neighborhood is re-emerging. Pleasant Street is being transformed. Come See! Seven new townhouses in the City Home Cincinnati Phase 2 project are under construction. In the photo you see the new townhouses being built on the right. The Phase 1 Townhouses are on the left, already occupied. Schickel Design is the Architect for the project. Co-developers are OTRCH and Eber Development, the project is funded by 3CDC and the City of Cincinnati. Three of the seven are sold. For sales information call Holly Redmond at 513-479-0413 or Stacey Rickert at 513-515-2615 or log onto www.gatewayquarter.com. LEED Project Documentation – Learn how you can make your project Green from the guys that did it for $4 per square foot. Why Build Green? – You May Not Pay Taxes for up to 15 Years! – Take the two-question survey and learn more. Please contact us with any questions or for more information – on Green Marketing, LEED AP services, Assoc. Builders and Contractors, Inc. Sustainability Awareness Training, renewable energy, custom courses, presentations, and residential or commercial LEED design. Green Cincinnati Education Advocacy – Green Building division of Lohre & Associates, Inc. Marketing Communications, 126A W 14th St., Cincinnati, OH 45202; [email protected], o513-961-1174, c513-260-9025, www.green-cincinnati.com.